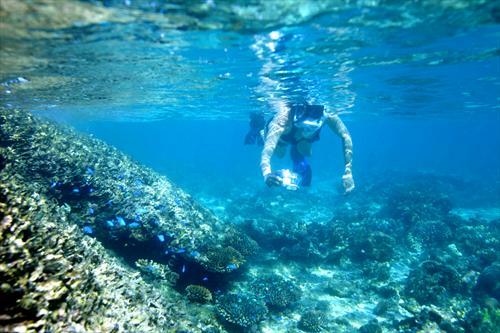 The Ningaloo Reef provides a number of fantastic snorkelling spots including the famous Turquoise Bay. You are guaranteed to see an abundance of bright corals, fish and stingrays with the occasional turtle and reef shark. Encountering dugongs and dolphins is a fantastic experience also and whales can be seen frolicking about in the background, when the seasons right (August to October).